Free booze from a tree! I am buzzed to report that our first cider-making efforts have borne fruity booze. 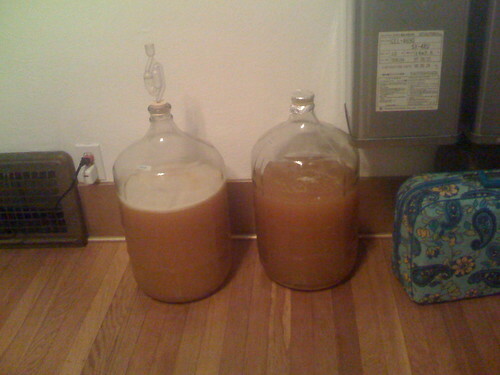 The five-way apple tree I planted nine years ago yielded enough fruit this year to fill a 5-gallon carboy with juice. Add yeast, secure airlock and stand back!